Menorrhagia is the medical term for heavy menstrual bleeding. If left untreated, menorrhagia can lead to iron deficiency anemia. It is estimated that about 10% of women of reproductive age will experience heavy bleeding — but only around 30% of women will seek menorrhagia treatment. Can Hormonal Contraceptives Be Part of a Menorrhagia Treatment Plan? Hormonal contraceptives (like the pill) help to lower overall bleeding episodes. Because of this, hormonal contraception may be especially helpful as part of menorrhagia treatment. Plus, these birth control methods are a reversible and have less serious side effects than other treatment options. The alternative menorrhagia treatment is a surgical procedure called endometrial ablation. This procedure leads to sterilization. You may have chosen to use hormonal birth control methods because it is effective and easy of use. But did you know about the non-contraceptive benefits of hormonal contraception? One of those benefits is that certain hormonal contraceptives can be part of a menorrhagia treatment plan. Which Hormonal Contraceptives Can Be Part of My Menorrhagia Treatment? Combined Hormonal Contraceptives: These birth control methods contain both a progestin and synthetic estrogen. Combination birth control can lower heavy menstrual bleeding for a lot of women. So it is a reasonable option to initially try as part of your menorrhagia treatment. Combination Birth Control Pills: Did you know that your monthly blood loss (that happens during your period) can be lowered by 40 to 50% if you use combination birth control pills? Research has also shown that triphasic combination pills (birth control pills that have changing levels of estrogen and progestin — to more closely mimic the hormonal phases during your menstrual cycle) have been especially successful at lowering the menstrual blood loss linked to menorrhagia. Extended Cycle Birth Control Pills: Continuous birth control pills (like Amethyst, Yaz, Beyaz, Seasonique, and Lo Loestrin Fe) also help to lower your overall bleeding episodes. These extended cycle pills can be especially helpful in the management of menorrhagia. You can also use regular birth control pills to skip your period — this can also provide you with some relief. 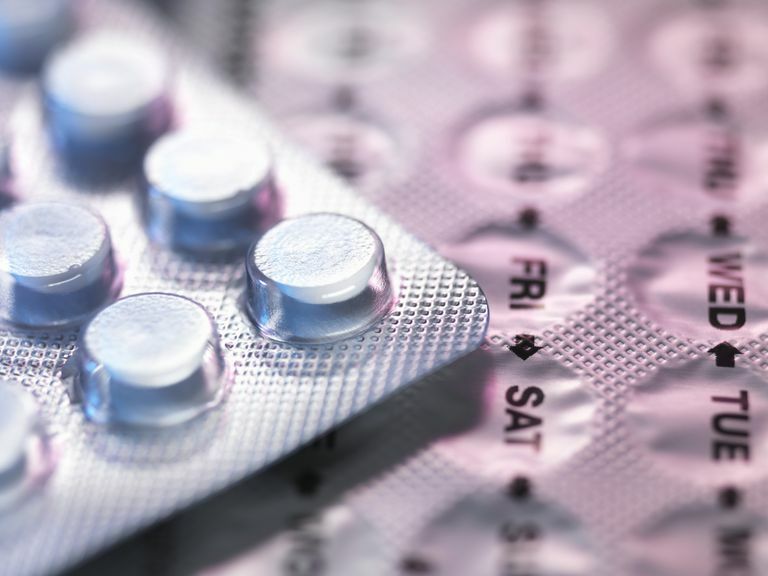 Progestin-Only Contraceptives: These hormonal contraceptives are a good alternative if you want to use hormonal birth control, but you can't use a method that has estrogen. Progestin-only birth control options can help lower your bleeding days during your monthly period. Some of these methods may actually cause you to not have a period at all. Because of this, progestin-only contraception may be a possible part of your menorrhagia treatment plan. Mirena IUD: The Mirena IUD is also a progestin-only method. For women with menorrhagia, research shows that Mirena lowers menstrual blood loss and improves quality of life as well as endometrial ablation -- but Mirena has less serious side effects. You can have up to an 86% reduction in blood loss after only three months of using Mirena and up to 97% after 12 months. Compared to women who use progestin-only pills (with the progestin norethindrone), women who use the Mirena IUD for menorrhagia treatment seem to be more satisfied and willing to continue with this as their menorrhagia treatment. Mirena may actually be a more effective treatment option than these birth control pills. So much so that now Mirena is FDA-approved to help treat heavy periods. Keep in mind that every woman may have different reactions to specific birth control methods. So even though hormonal birth control can be a helpful part of menorrhagia treatment, this information is meant to be a general overview. The main reason to use hormonal birth control is for contraception (to prevent an unintended pregnancy) — but, if you suffer from menorrhagia, talk to your doctor about some of these possible non-contraceptive benefits. It doesn't hurt to factor in some of these possible benefits when deciding about which hormonal contraceptive you will ultimately use. Barrington JW, Bowen-Simpkins P. "The levonorgestrel intrauterine system in the management of menorrhagia." Br J Obstet Gynaecol 1997;104:614–6. Accessed via private subscription. Cedars MI. "Triphasic oral contraceptives: Review and comparison of various regimens." Fertil Steril 2002;77:1–14. Accessed via private subscription. Fraser IS, McCarron G. "Randomized trial of 2 hormonal and 2 prostaglandin-inhibiting agents in women with a complaint of menorrhagia." Aust N Z J Obstet Gynaecol 1991;31:66–70. Accessed via private subscription. Istre O, Trolle B. "Treatment of menorrhagia with the levonorgestrel intrauterine system versus endometrial resection." Fertil Steril 2001;76:304–9. Accessed via private subscription. Kaunitz AM, Meredith S, Inki P, Kubba A, Sanchez-Ramos L. "Levonorgestrel-releasing intrauterine system and endometrial ablation in heavy menstrual bleeding: A systematic review and meta-analysis." Obstet Gynecol 2009;113:1104–16. Accessed via private subscription. Larsson G, Milsom I, Lindstedt G, Rybo G. "The influence of a low-dose combined oral contraceptive on menstrual blood loss and iron status." Contraception 1992;46:327–34. Accessed via private subscription. Sulak PJ, Carl J, Gopalakrishnan I, Coffee A, Kuehl TJ. "Outcomes of extended oral contraceptive regimens with a shortened hormone-free interval to manage breakthrough bleeding." Contraception 2004;70:281–7. Accessed via private subscription.